There’s nothing that sets off a Friday night quite like red dirt country music. 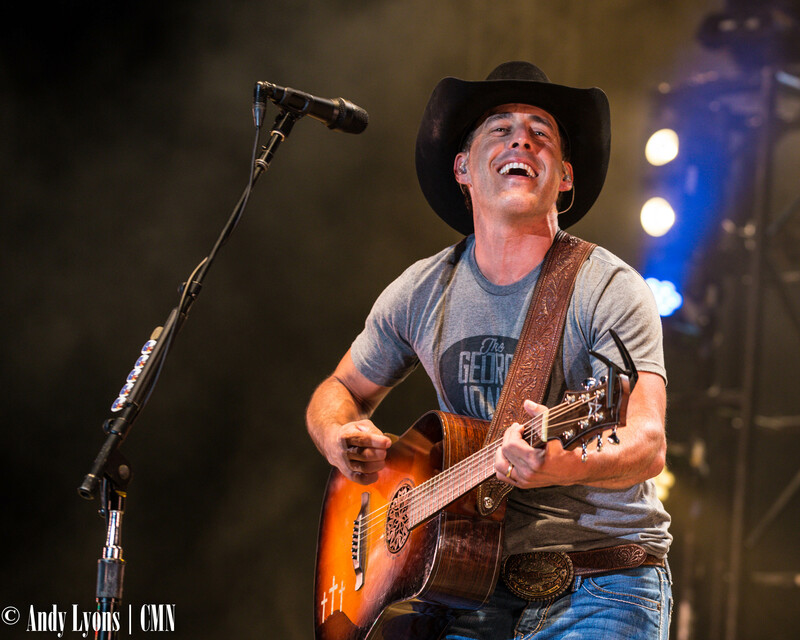 Despite low attendance, Tim Montana and Aaron Watson brought it home at the Missouri State Fair last night. Montana’s warmup featured southern rock covers of some legendary tunes while Watson’s wholesome set had fans dancing in the aisles at the Pepsi Grandstand. Montana’s hit song “This Beard Came Here to Party” shot him to popularity during the 2013 World Series when it was picked up by the Boston Red Sox. Coupled with his band, The Shrednecks, Montana performed a 40-minute set that featured covers of rapper Eminem’s “Lose Yourself,” ZZ Top’s “La Grange,” which evolved into 2Pac’s “California Love,” and more. Throughout the set, Montana told the crowd about his rambunctious time spent in Montana and relocating to Nashville where he met Billy Gibbons of ZZ Top and eventually collaborated with the legendary guitarist on several songs. Dressed in a jeans and a T-shirt with a leather vest, Montana did a good job of getting the juices flowing as an opener. The covers he had sprinkled in gave fans a chance to sing along if they weren’t as familiar with his music and his interaction served as a solid ice breaker for closing act Watson. Watson’s set had an incredible flow to it. Slower tracks such as “That’s Why God Loves Cowboys” and “Run Wild Horses” had fans swaying in their seats or slow dancing in the aisles. When the pace picked up, Watson’s fiddle player Damian Green and guitarist Jason Lerma maneuvered across the stage, stepping up on risers to a chorus of cheers. Watson, who wore a grey George Jones T-shirt and black cowboy hat, is a master at working the crowd. From pointing and waving to fans to paying tribute to service members, the entire Grandstand was enamored by Watson. About halfway through his set a fan was escorted out for starting a fight and Watson played some cords and led the crowd in singing “Na na na na, hey hey hey, goodbye,” which got him some laughs amid the cheers. The night was special for everyone, with fans filling the aisles to dance and sing and seemingly enjoy a cool night at the Fair together. Watson’s laid back style and willingness to share stories with the crowd got some of the biggest cheers of the night – including his struggles after his wife had a miscarriage in 2011. His ability to open up and relate gives his music a lot more depth, especially while pop country seems to be on the rise. For more coverage of the Missouri State Fair concerts, follow Central Mo News on Facebook here.